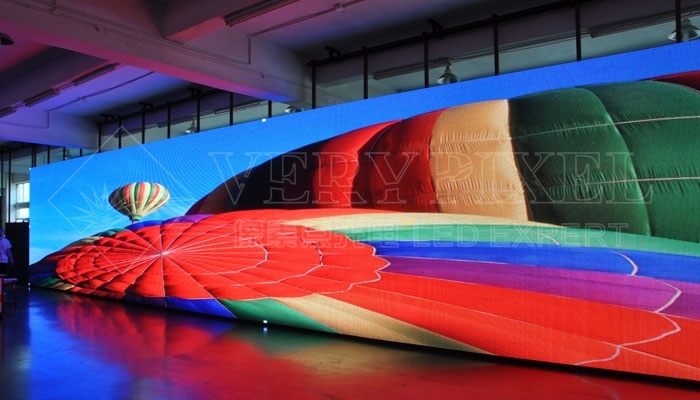 Verypixel P10 SMD indoor full color led display - Shenzhen Verypixel Optoelectronics Co., Ltd.
Verypixel P10 SMD indoor full color led display screen is adopting LED lamp adopts standard SMD3528 3-in1 SMD technology. Every light unit is composed by red, green and blue color, the colors of the display can be reached 1.07 billion kinds, and can display colorful dynamic and static images in real time, the screen has perfect display effect. The display supports the usual VGA and DVI traditional video signal, it also specially supports HDMI video signal, and so on, in addition, it can receive and show video programs, such as TV programs、VCD or DVD、live programs, and so on. P10 SMD indoor full color LED display adopts full automatic production, The product has high reliability, saturated and uniform color, high brightness, low consumption, long service life, and wide angle, is widely used in indoor sites, such as show rooms, cafe, hotel, stage, and so on.